Since the presidential election last year, the Urban League Movement has been vocal in opposing those of the new administration's policies which erode civil rights and opportunities for underserved communities. But we have remained optimistic that we could find common ground in the area of infrastructure development. Tonight, I am calling on the Congress to produce a bill that generates at least $1.5 trillion for the new infrastructure investment we need. Every Federal dollar should be leveraged by partnering with State and local governments and, where appropriate, tapping into private sector investment -- to permanently fix the infrastructure deficit ... Together, we can reclaim our building heritage. We will build gleaming new roads, bridges, highways, railways, and waterways across our land. And we will do it with American heart, American hands, and American grit. Analysis of the Administration's plan has found it "light on federal funds and details." Of the $1.5 trillion, only $200 billion would come from federal funds - which would be offset by unspecified budget cuts. 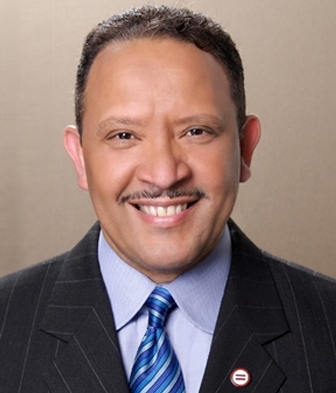 The National Urban League has a better - and far more detailed plan. The Main Street Marshall Plan, From Poverty to Shared Prosperity is a forward-leaning investment of $4 trillion over 10 years - $2 trillion for physical infrastructure such as roads, bridges and buildings, and $2 trillion for human development, such as education, job training and health insurance. The Main Street Marshall Plan is aimed not only at combating poverty but at promoting equality and eliminating disparities. A decade after the onset of the Great Recession, African Americans who were hardest hit have benefited least from the fragile economic recovery that followed. Despite laudable reductions in the Black unemployment rate, it stubbornly remains double the rate for whites. Black Americans continue to lag behind in wealth, income and homeownership, and across all educational levels. Just as the original Marshall Plan virtually wiped out widespread poverty across Europe following World War II, the Main Street Marshall Plan has the potential to transform urban America. We also took inspiration from Franklin Delano Roosevelt, who confronted the twin crises of massive unemployment and lagging infrastructure development with the New Deal Agencies. The New Deal brought electricity to rural America. The Main Street Marshall Plan can bring high-speed broadband to urban America. The New Deal virtually eliminated widespread illiteracy. The Main Street Marshal Plan can eliminate the racial achievement gap. We urgently ask Congress to work quickly to build on the foundation of the Administration's emerging infrastructure plan, and join us in the effort to transform America again. The National Urban League is a civil rights organization dedicated to economic empowerment in order to elevate the standard of living in historically underserved urban communities. Founded in 1910 and headquartered in New York City, the National Urban League spearheads the efforts of its local affiliates through the development of programs, public policy research and advocacy. Today, the National Urban League has 93 affiliates serving 300 communities, in 35 states and the District of Columbia, providing direct services that impact and improve the lives of more than 2 million people nationwide. To learn more about the National Urban League, visit www.nul.org and follow us on Twitter @NatUrbanLeague.